To win a screen role, an actor must learn to contend with an on-camera audition. Understanding how to make the crucial adjustments to one's craft that this kind of audition requires is vital to the career of any screen actor. 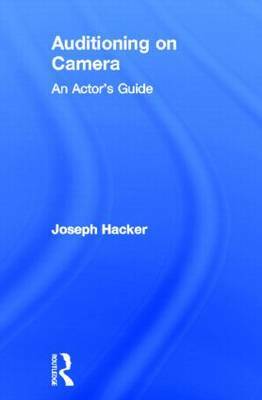 The book also features point-by-point chapter summaries, as well as a glossary of acting and technical terms, and is a comprehensive and enlightening resource for screen actors of all levels. Mr Hacker offers an invaluable set of skills for navigating the world of film auditioning. Every audition of my career, and indeed many times on the job, I have utilized his strategies. They are an excellent way to jump ahead of the pack and start with skills it takes others years to discover through trial and error. Hacker's book is destined to replace Michael Shurtliff's 'Audition' as the auditioning guide for the 21st century. I use his methods every time I walk into the audition room and they never fail to leave a great impression.